Model 44018AR four post truck lifts feature double radius gauge cut outs, dual rear slip plates, internal airline kit, and single point air actuated lock release with 17 level working alignment heights. With a 4 wheel alignment range from 98” - 206” and a maximum 2 wheel alignment of 220”, our 44018AR alignment rack four post truck lifts provide alignment capability for medium duty transit vehicles. Turning radius gauges and rolling jacks are sold separately. Continuously engaged mechanical lock system for increased safety. 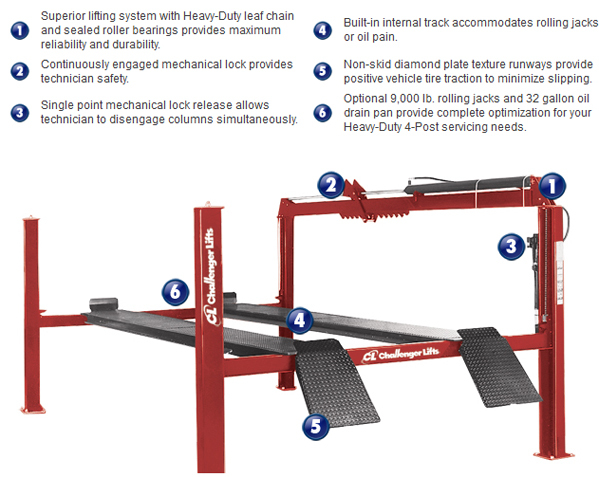 NEW AR44018AR four post alignment truck lift package includes two 9,000 lb. capacity rolling jacks (RJ9000), stainless steel turning radius gauges and internal airline kit for dual rolling jack operation. Our 18,000 lb. 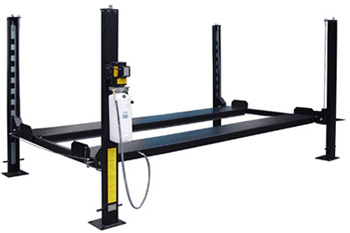 alignment rack is the perfect complement to any medium duty automotive service operation. With 22" wide runways, 17 level locking heights, a 4 wheel alignment range from 98” - 206”, a maximum 2 wheel alignment of 220”, 141-1/2" overall width and 311-1/2" overall extended length, the AR44018AR is the right rack for wheel alignment and other general service work. * Optional Three Phase Electrical Power Available. Please Specify at time of order. 9,000 lb. capacity Rolling Jack for AR44018AR only. RJ9S rolling jack features air/hydraulic operation and comes standard with (4) 3" Stack Adapters for all 44018 four post automotive lifts. Broaden your service revenue with easy access to brakes and wheels from underneath four post lifts. 9,000 lb. capacity rolling jacks features adjustable width, low vehicle drive-over clearance, stackable height extensions with built-in storage rack and factory installed and protected filter lubricator and regular. Stainless Steel turning radius gauges for 40series, 4P12series, AR40series and 44018AR four post car and truck lifts. Turning radius gauges are used for front wheel alignments to measure how many degrees the front wheels are turned left or right. 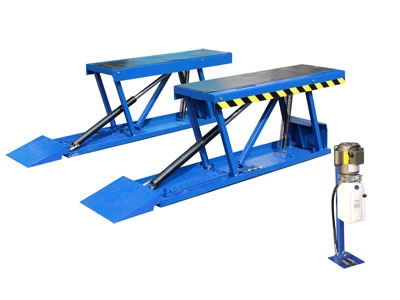 They are commonly used when measuring caster, camber and toe-out on turns for alignment capable automotive lifts. 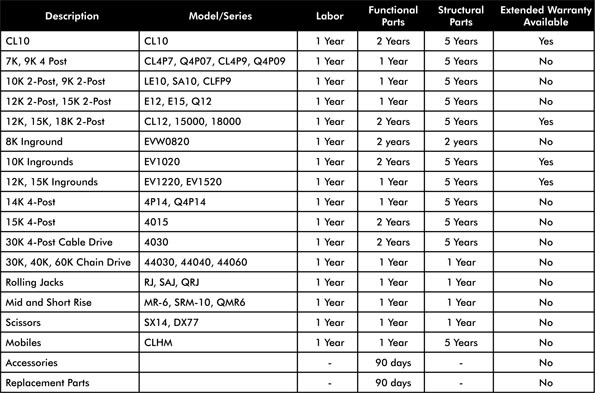 General service four post automotive lifts can be turned into alignment capable four post lifts with a bolt on alignment kit (Part #40200-3DSS) which includes stainless steel turning radius gauges. 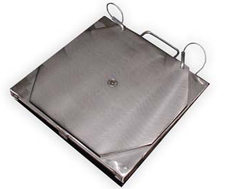 Provides air for dual rolling jacks on the 44018 and 44018E four post lifts.